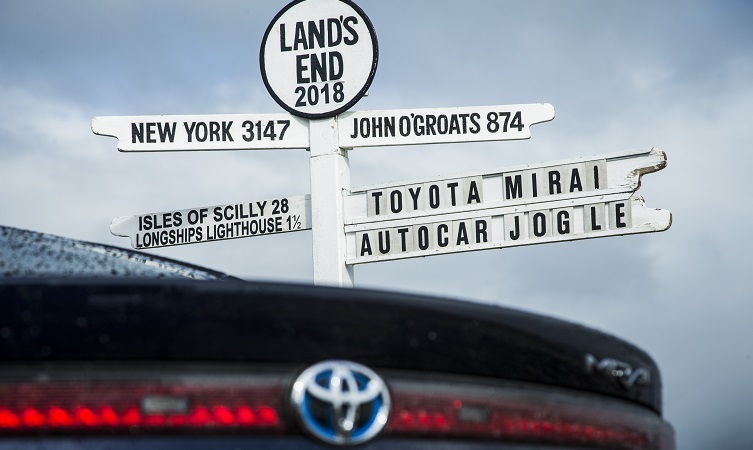 Organised by Autocar magazine, the expedition not only measured the revolutionary model’s performance but also revealed how the UK is building a national hydrogen infrastructure and realising the wider opportunities hydrogen offers for developing a zero-emission society. 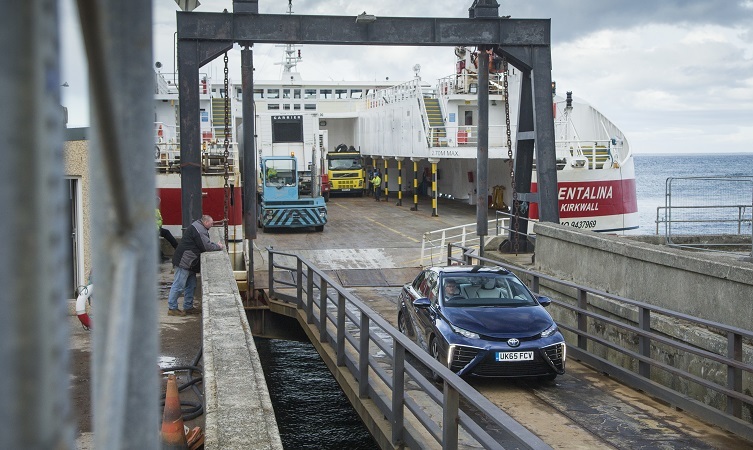 The journey actually began in the Orkney Islands, where a surplus of electricity generated by wind, wave and tidal systems is being used to produce hydrogen from water, through electrolysis. 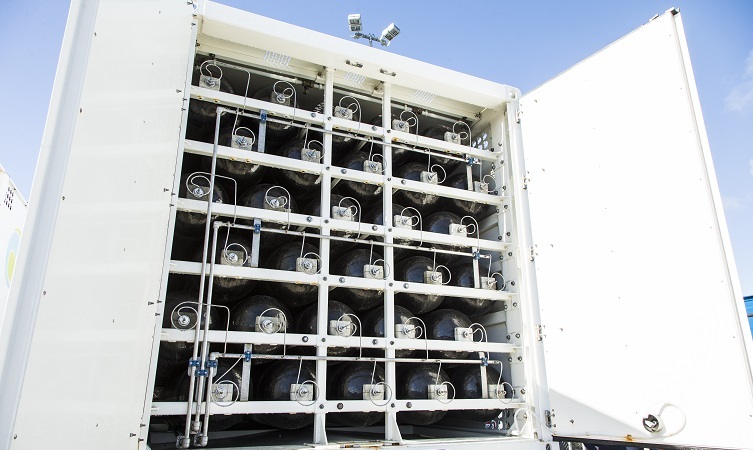 This is stored in pressurised containers and transported to the principal town of Kirkwall, where it is used in an array of fuel cells to generate electricity to power local homes and ferries berthed in the harbour. 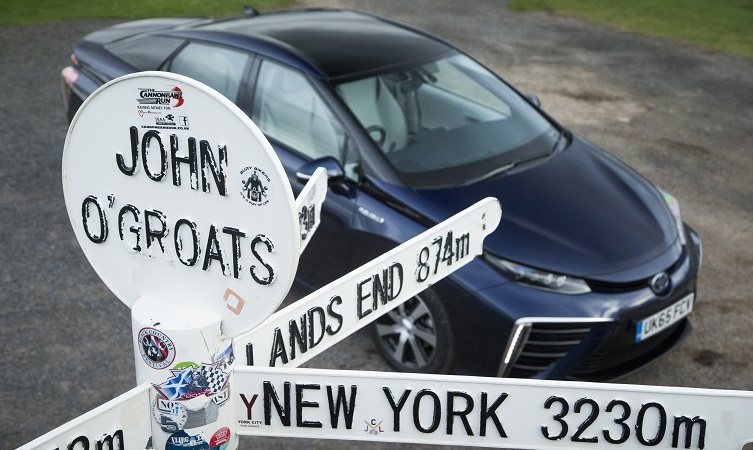 Once on the Scottish mainland, at the northernmost community of John O’Groats, the Mirai was put to the test to see if its full tank range of around 300 miles would allow it to cover a distance of more than 1,100 miles to Britain’s far south-west, following a cross-country route between hydrogen filling stations. The route initially took the crew to Aberdeen, a city at the forefront of realising the potential of hydrogen. 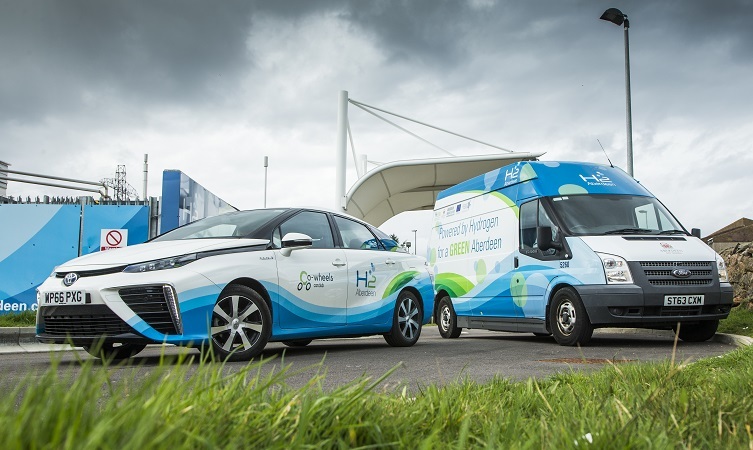 This is being achieved through H2 Aberdeen – a local partnership in which businesses, transport operators, local, regional and national government and other bodies work together to establish a centre for hydrogen production and develop a local hydrogen-based transport network. 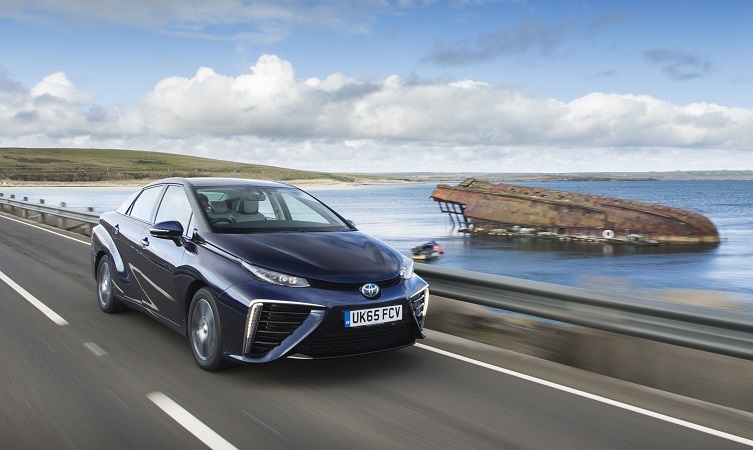 The Mirai’s tanks were replenished at a public filling station which claims to be the busiest in Europe. Toyota has seen the future, then created and executed it. 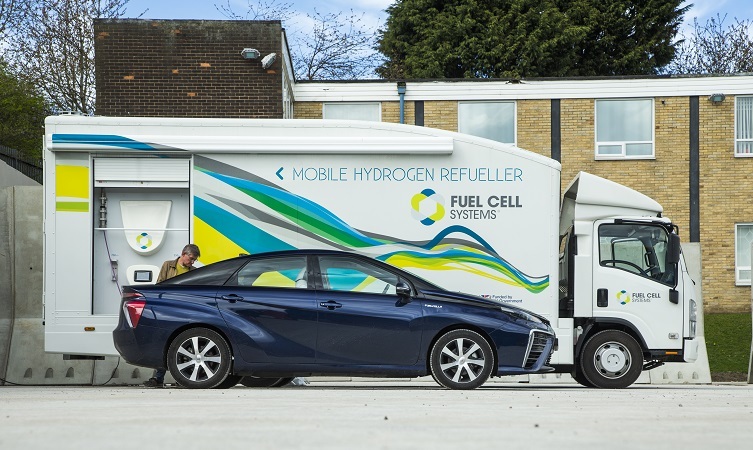 The first stop in England was in Sunderland, where a Fuel Cell Systems truck demonstrated how hydrogen fuel can be safely transported and dispensed from a mobile unit. 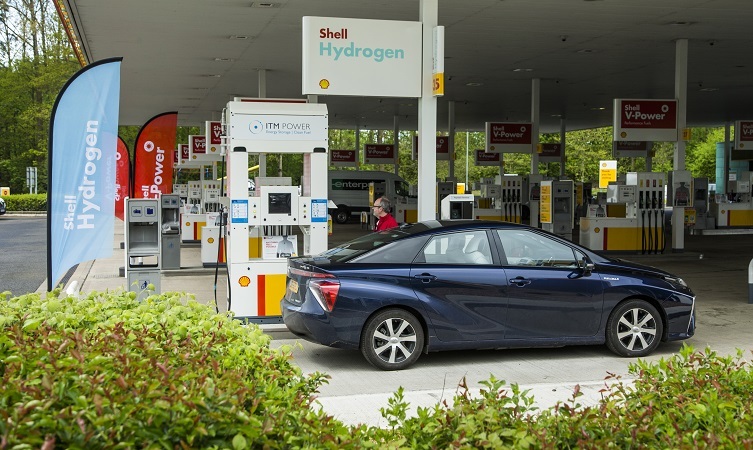 The location for the fill-up was the premises of Haskel, a company developing new hydrogen fuelling systems that can operate quickly and consistently. The Autocar team noted that, even though refuelling from the mobile unit took longer – around ten minutes rather than the four taken at a filling station – it was still significantly quicker than the time required to recharge a battery electric vehicle. Final refuelling was in Beaconsfield in Buckinghamshire, 276 miles from the final destination in Cornwall. Even though the remaining distance was close to Mirai’s cruising range, it was accomplished with fuel to spare. 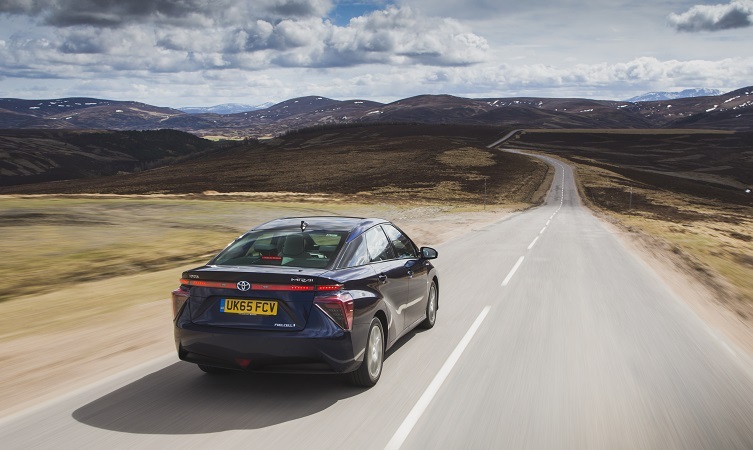 At the conclusion of the test, Autocar calculated that the Toyota Mirai had covered 1,108 miles at an average speed of 56mph, and consumed 0.9kg of hydrogen for every 100 kilometres (62 miles) driven. 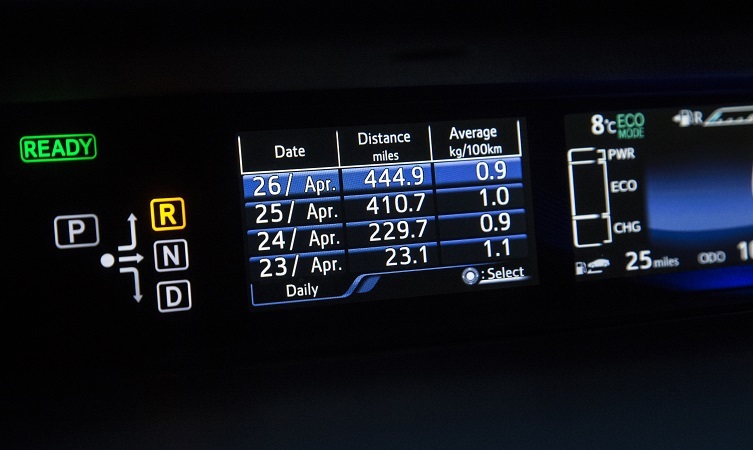 There were four stops, with a combined refuelling time of 15 minutes and a fuel bill of £193 – equivalent to 17.9p per mile. Along the way, 14.5 litres of water were expelled from the car’s fuel cell system.